The Joint Admission and Matriculation Board has postponed the printing of UTME slip to Thursday April 4th, 2019. This was disclosed by the JAMB’s Head of Media and Publicity Dr Fabian Benjamin in an interview with newsmen. Recall that the printing of the examination slips was initially scheduled to begin on Tuesday, April 2. 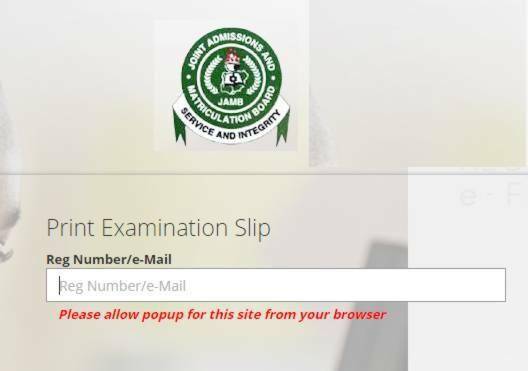 According to Benjamin, the postponement follows the suspension of 14 Computer-Based Tests centres due to irregluarities during the conduct of Mock UTME, including an incident where JAMB staff were attacked at one of its centres. He said in view of this, the board needed today and tomorrow to redistribute the candidates affected by these suspended centres who had planned to extort them, defraud and frustrate the system, to centres that are more suitable after which the printing of exam slip can begin on Thursday.